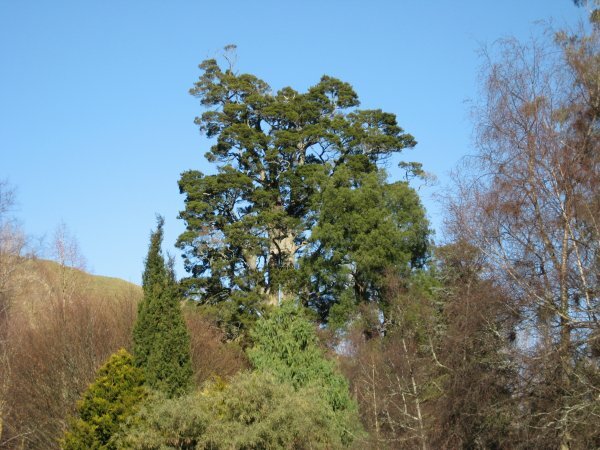 'Situated at the beginning of Te Parapara Road is a five-acre park and museum. Ruapuna Park has been developed over many years by Ngaire Hancock and her late husband Alan. 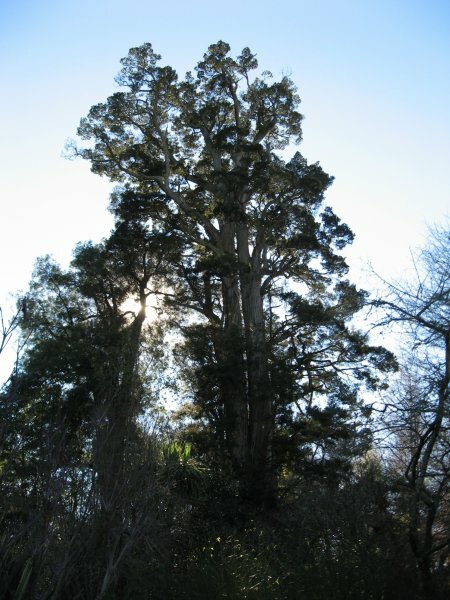 The garden contains many unique plants and trees, including this totara tree, estimated at one thousand years old. A museum, depicting Rangiwahia life over the early years, can also be viewed.This was one of the original old Rangiwahia cottages, which was relocated and restored by Alan. It contains relicts of old, including jackets used when the old Rangi Ski Field was operating in the 1930’s'. 'A remnant of the original forest. A fine well shaped tree with some slight signs of branch and root rot. A splendid 'centrepiece' for a very colourful private park' (Watson 1987). established in the paddock just NE of the tree, and from which a height connection into ground level at the base of the tree was run. The tree appears to be in good health (July 2012). 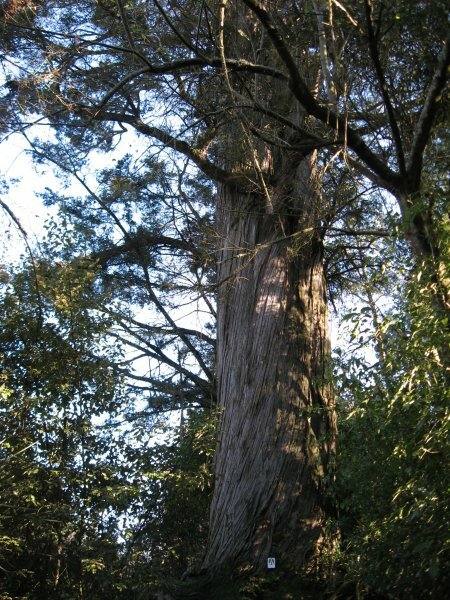 The tree has a double trunk for much of its height. 01 Jul 2012 Arthur, G.
13 Nov 1987 Watson, W.N.